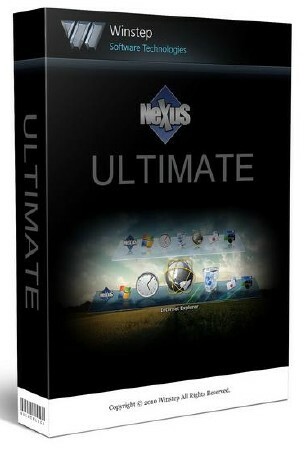 ﻿﻿﻿ Скачать Winstep Nexus Ultimate 18.3.0.1090 от (SoftHokc) » Доска объявлений "LoL"
Winstep Nexus Ultimate - компактная, удобная и красивая панель для быстрого запуска программ и открытия документов (файлов, папок) в стиле панели аналогичного назначения в Mac OS. Поддерживает множество скинов, выбора звукового оформления. Гибкая система настроек и русский интерфейс не оставят вас равнодушными к этой программе. Особенности Winstep Nexus Ultimate: • Гибкая настройка параметров, в том числе внешнего вида панели. • Поддержка работы с несколькими мониторами, виджеты. • Дополнения - проверка почты, погода, загрузка процессора и т.п. • Многоязычный интерфейс. • Возможность использования как в 32-, так и в 64-битных системах. Отличия от бесплатной версии: Возможность создавать сколько угодно доков Возможность создавать многоуровневые мини-доки (например для группировки определённых приложений в отдельный мини-док) Панель с вкладками - туда можно запихнуть Панель управления, значки Рабочего стола и т.п. В ближайшем будущем ещё множество эксклюзивных возможностей Features - Display running applications on the dock with task grouping, filtering and icon customization options. - Display system tray on the dock as single or grouped icons. - Blur-Behind and colorization of dock backgrounds. - Monitor active connections and bandwidth usage with Net Meter module. - Get weather forecast for over 39,000 cities world-wide. - Multiple mouse over effects: zoom, swing, bounce and more! - Live icon reflections and animated water-like effects for reflections and dock backgrounds. - Easily change appearence of icons of running programs and shortcuts by drag & dropping PNG, ICO and TIF files directly into the icon. - Multi-monitor support. - Compatible with skins for all 3rd party docks. - Multiple docks and ability to group shortcuts into nested sub-docks. - Duplicate, delete and disable/enable existing docks. - Categorize applications into user-defined tabs on the Shelf (Tabbed Dock). - Increase productivity by displaying the contents of folders, the Desktop, My Computer, Control Panel and more as tabs on the Shelf. 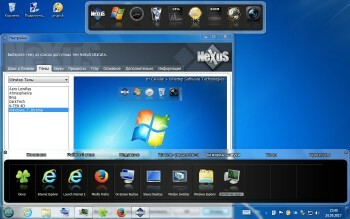 - Reduce clutter by hidding Desktop icons and using the Desktop tab on the Shelf instead. - Display running tasks and system tray on the Shelf. - One click theme switch with special Themes tab on the Shelf. - Display modules (docklets) on the Shelf. - Re-arrange tabs in the Shelf by drag & drop. Thank you for sharing superb informations. Your web-site is very cool. I am impressed by the details that you have on this site. It reveals how nicely you perceive this subject. Bookmarked this website page, will come back for more articles. You, my pal, ROCK! I found just the info I already searched all over the place and just could not come across. What an ideal website. Wonderful site. A lot of useful information here. I am sending it to a few friends ans also sharing in delicious. And naturally, thanks for your effort! There is a sister or the brother? Sound analysis of the word of protein. And if you speak to them about garbage, they lift such scandal that else itself and you remain guilty! During a rain all garbage falls out of a container and blurs on the road. South sea are suburbs Livadia. Acquaintances find Livadia. Nakhodka are also located in the gulf East. Orthodox acquaintances in Southern Sea I am the page. Attach on a tree for a little squirrel the subject chosen by you. In a blue pool on water. Palms attach an edge. Acquaintances across Russia, the Amur region the city of Blagoveshchensk. But there is an Internet. She mighty and great, knows a lot of things if not all. Practically in several minutes it is possible to find the free dating site demanded for you in Yuzhno-Sakhalinsk. There will pass several minutes, and you are already registered as the new user. The window with a large number of questionnaires appeared. At someone it is written I want the serious relations, at others the purpose of joint stock company and children, the others want to find people with common interests, and someone uses these services for entertainments. In many questionnaires it is told whom the user wants to find on a dating site. There are people, age-appropriate, a figure, a shape of a face, hair color, a figure and to other parameters. You got acquainted with a large number of questionnaires, defined the pleasant person and it is possible to begin correspondence. One people like long correspondence. Thus, the person before the forthcoming meeting is closer recognized. Others go on an appointment next day. Someone needs to pass an intermediate stage from virtual correspondence prior to a real appointment a shcheniye by phone. The message can be sent not necessarily on white "paper" (background), and on the color, and also text can be any color. Acquaintances in Yoshkar-Ola, Mari El, Russia!